Chlorophylum molybdites grows in grassy areas. It can easily be confused with the Parasol Mushroom. 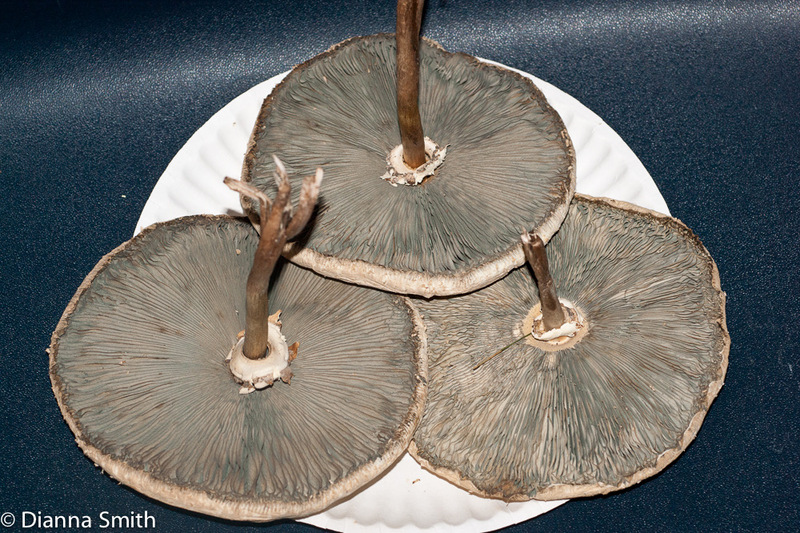 This mushroom is poisonous and causes severely unpleasant gastrointestinal symptoms if eaten. 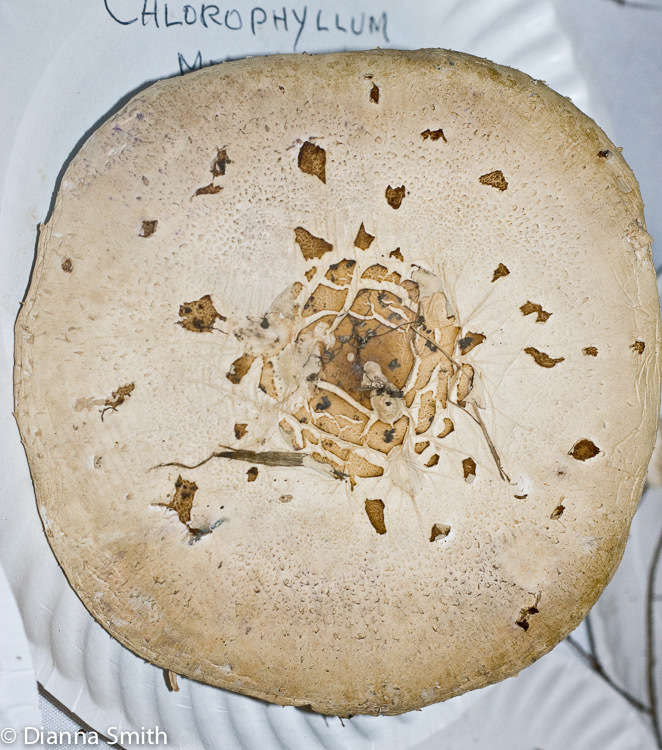 If allowed to mature, its green spore print deferentiates it from lookalikes.